It’s no secret that New York City is one of the most expensive cities in the world. Broadway shows, accommodation, eating out and sightseeing can add up in no time! Sigh. But fear not, in a city rich with discounts and freebies, it IS possible to have an authentic New York experience without breaking the bank! Here are 8 ways to save money when visiting NYC. Do as New Yorkers do and take the subway. As tempting as those iconic yellow cabs may be, you will end up spending at least 10x more than if you buy a subway pass. Not only is the subway far cheaper but in a city with traffic that will make your hair fall out, you will get from A to B much quicker! Or even better, after eating your way through New York, pop on your comfiest shoes and see as much of New York as possible by foot. Empire State Building. Image credit: Instagram @jssilberman. 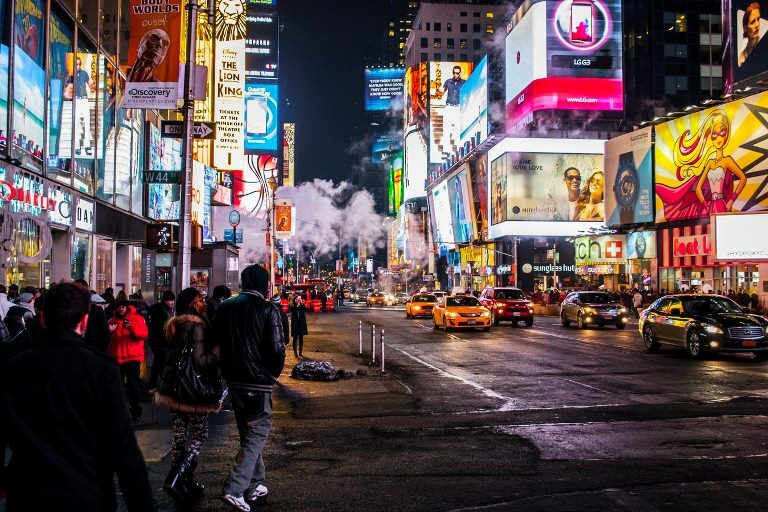 As easy as it may be to stay and eat in Times Square or Mid-town, you will save yourself big bucks if you avoid these areas for anything but taking photos and seeing the main attractions. New York is renowned for fantastic street food and hidden gems, so do yourself a favour and make the most of this! Skip the chain restaurants in Times Square and eat like the locals. Try East Village, Chelsea, Brooklyn and West Village for some amazing food and big savings. When it comes to accommodation, look outside of town as well, consider Brooklyn, West Village or Queens. You’ll be paying seriously less than if you were to stay in the city centre and at the end of the day, no matter where you stay, the city is likely to be no more than 30 minutes away by metro. Basically, the further from Mid-town you are, the better and the more you will save! Upper West Side, New York. Image credit: Instagram @jssilberman. When visiting New York, seeing a Broadway show on Broadway is a must! Surprise surprise, you actually don’t have to pay big bucks to catch a show. The popular TKTS booths in Time Square are a great place to grab a largely discounted Broadway ticket on the morning of the show. Even better, head to the booths on South Street Seaport or Downtown Brooklyn to skip the large queues! Times Square. Image credit: Instagram @nicolaiberntsen. Pizza for 99c!? Nope, you’re not dreaming. In NYC, it’s a thing. Although not the healthiest of meals or the best pizza you’ll get in New York, you can’t go wrong with the occasional guilt-free 99c slice! And these aren’t just any pizza slices, these are true New York style slices - large, yummy, fresh and perfect while on the go. You can’t get too far in New York without seeing a huge “99c pizza slice!” sign, definitely can’t miss them! 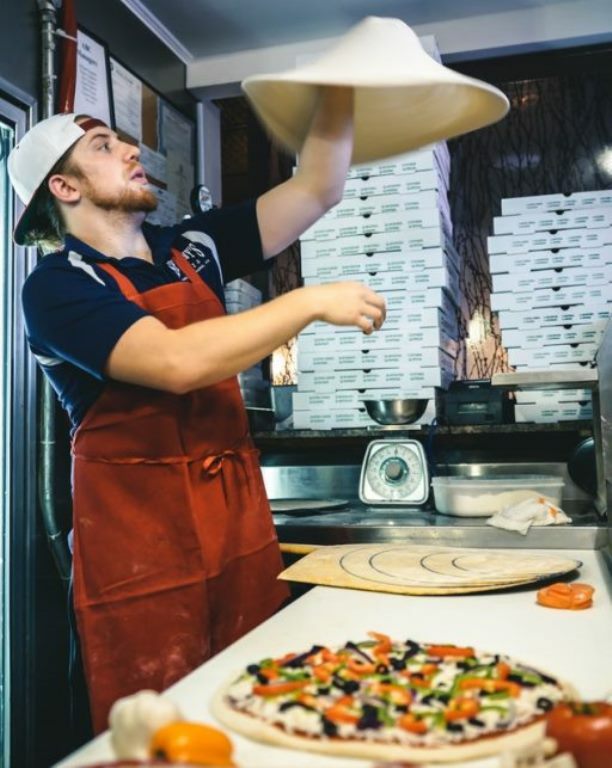 New York pizza joint. Image credit: Instagram @igorovsyannykov. If you’re a foodie, New York is your place! Unfortunately, dinner can be a costly excursion, so consider having your biggest meal of the day at lunchtime instead. You’ll still get to experience all the foodie gems New York has to offer without costing you an arm and a leg! Lunch specials are very common around town, so keep an eye out. And bonus, New York has markets galore, so make the most of these! Visit Smorgasbord in Brooklyn for a Ramen burger and churro ice cream sandwich or head to Mad Sq. 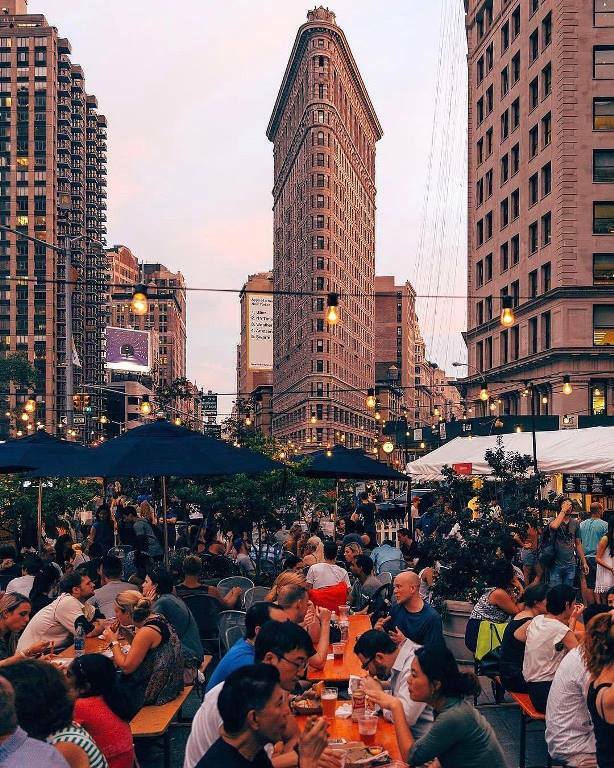 Eats in front of the iconic Flatiron building for some truffle-filled cheesesteaks and Southeast Asian tacos - convinced yet!? 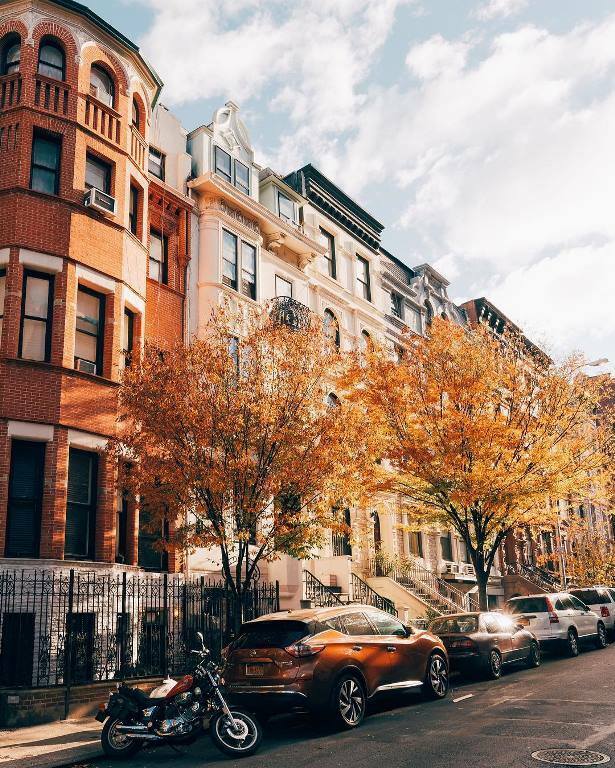 Then when it comes to dinner, grab some food from the nearest supermarket (preferably Trader Joe’s or a local deli), take it along to one of New York’s many stunning parks, and happy days for a fraction of the price! Mad Sq. Eats, New York. Image credit: Instagram @jssilberman. Museum-hopping makes for the perfect rainy day activity and in a city rich with world-class museums, it’s a must-do. Although it may seem like a costly activity, luckily enough, many of New York’s museums operate on a “pay what you wish” basis, with some even offering free admission times! 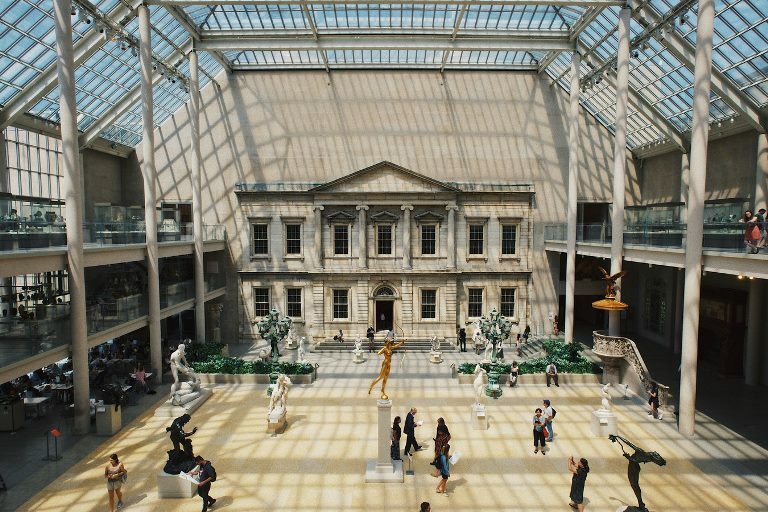 To name a few, The Metropolitan Museum of Art, the Cloisters, the American Museum of Natural History and the Brooklyn Museum all operate on a “pay what you wish” admission. If you happen to be in New York on a Friday, then even better! The Museum of Modern Art and Museum of the Moving Image all offer free admission on Fridays from 4-8pm and the Bronx Museum of Arts, American Folk Art Museum and National Museum of the American Indian is free every day, so get amongst it! Metropolitan Museum of Art. Image credit: Instagram @robertbye. Save yourself the $28.50 entrance fee to the Statue of Liberty and enjoy the views from the free, yes FREE, Staten Island Ferry. 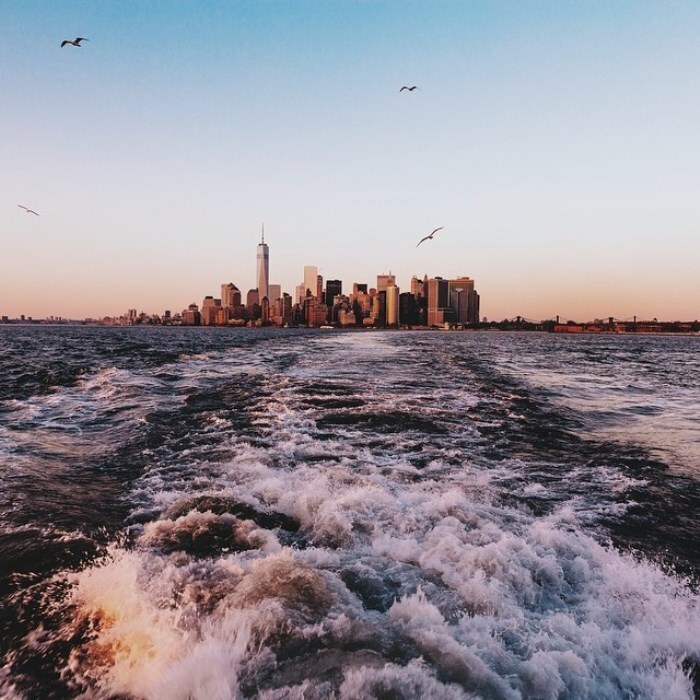 Once your on Liberty Island all there is to do is take a bunch of selfies, so why not take these selfies on board the 24-hour free ferry instead? 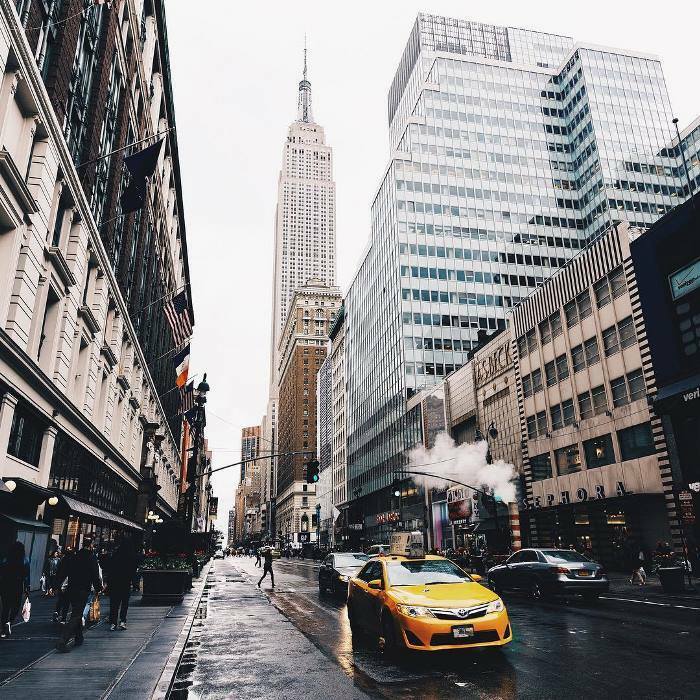 The view of New York’s skyline and the Statue of Liberty can’t be beat, so you most definitely won’t be missing out on those gram-worthy photos! Staten Island Ferry. Image credit: Instagram @jssilberman. Believe it or not, free events in New York do exist, particularly during summer you won’t be able to get enough of them! Lay down a blanket and enjoy a free weekly flick in Bryant Park or hit up Shakespeare in the Park at Central Park’s Delacorte Theater. But nothing compares to catching a free concert at SummerStage in the middle of Central Park and listening to some of your Spotify guilty pleasures. 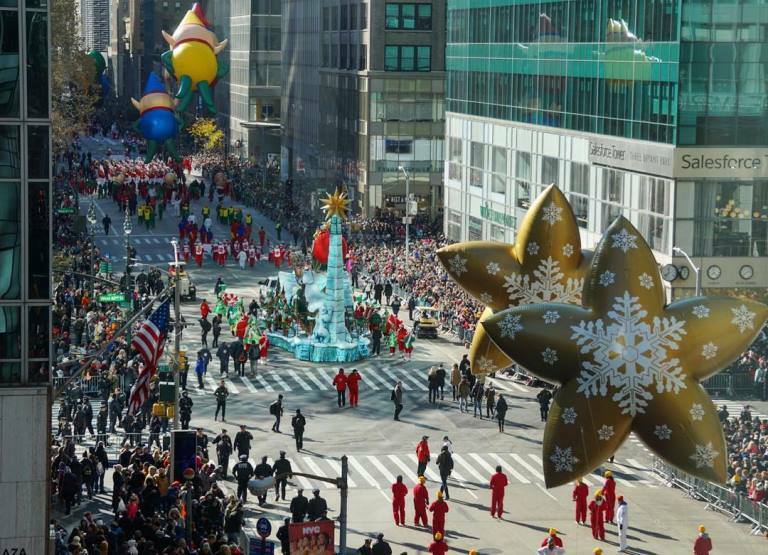 Free events don’t only exist during the summer though, New Yorkers are all about the parades, with some of the biggest in the country including the iconic Thanksgiving Parade, a Halloween Parade, various Christmas Parades and even a Mermaid Parade! New York has something going on for everyone, the options are endless! Just hit up Google and you’ll find free entertainment for days! Macy's Thanksgiving Parade. Image credit: Instagram @stephsumu. Originally from Chicago, with a full-time role in the travel industry and been to almost 30 countries, Rebecca has a love for all things travel - particularly international food! Whether it’s finding the best southern BBQ in South Carolina or sampling goat tagine in the Sahara Desert, she loves tasting her way around the globe!